With the holiday season quickly approaching, it’s a good idea to have some quick & easy holiday appetizers in mind for surprise guests and holiday entertaining. In this post I will share four easy recipes that are sure to impress! Many of the ingredients can be stored in the pantry so you’ll have them on hand when you need them. The fresh ingredients can be chopped up the night before so that it will take you even less time to put the appetizers together on the day of your party. 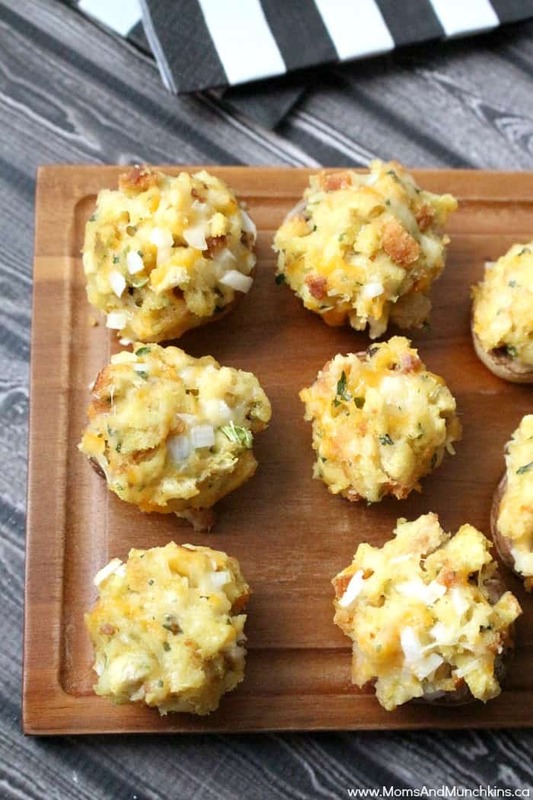 These Cheddar Stuffed Mushrooms are really easy to make and the leftover stuffing mix can be made into a delicious side dish. 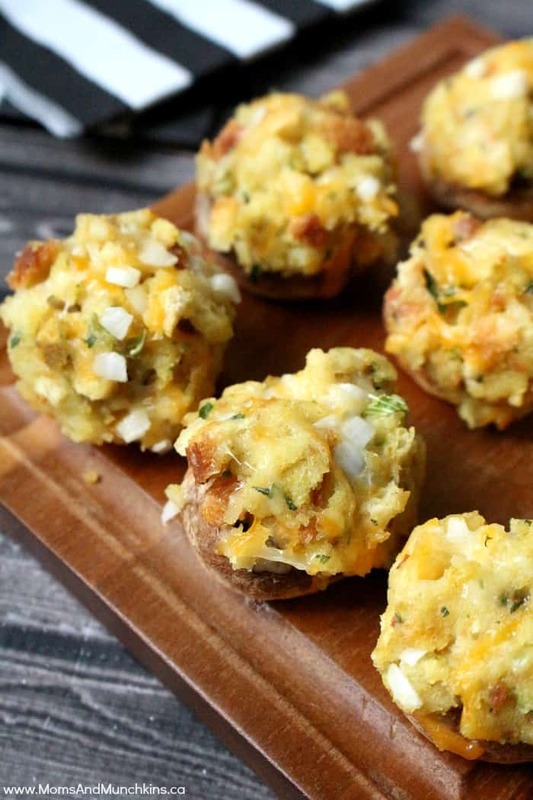 These bite-sized appetizers are really easy to make! Finely chop half of the stems; discard remaining stems. 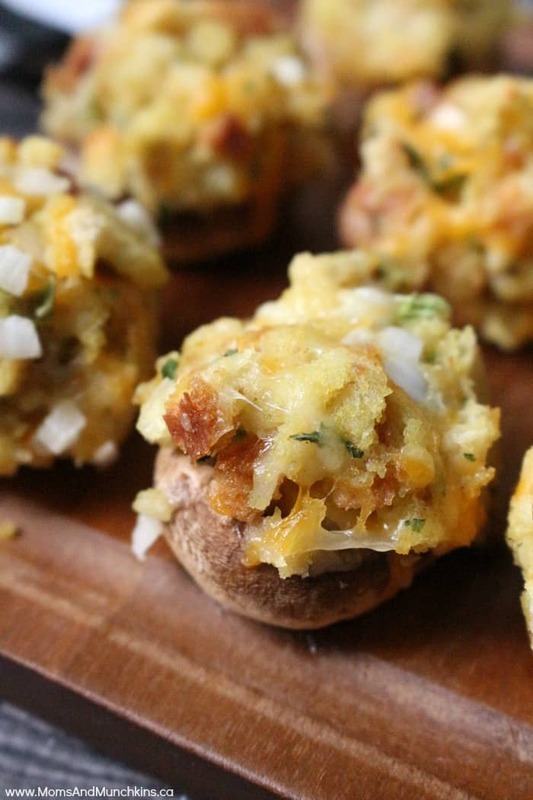 In small bowl, combine chopped mushroom stems, stuffing mix, cheese and onion; mix well. Spoon about 1 teaspoon mushroom mixture into each mushroom cap. Bake at 350ºF for 10 to 12 minutes or until thoroughly heated. Serve warm. 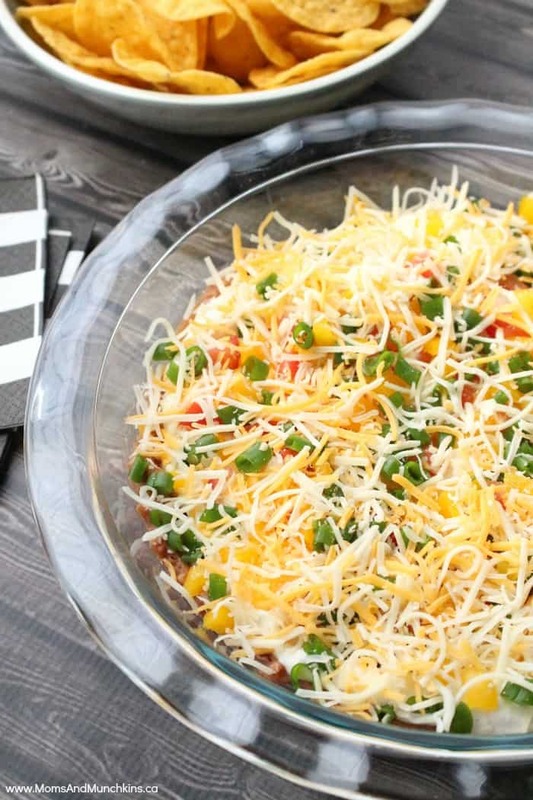 This Layered Ranch Taco Dip can be prepared in less than 10 minutes making it a tasty & easy appetizer idea for parties and potlucks! 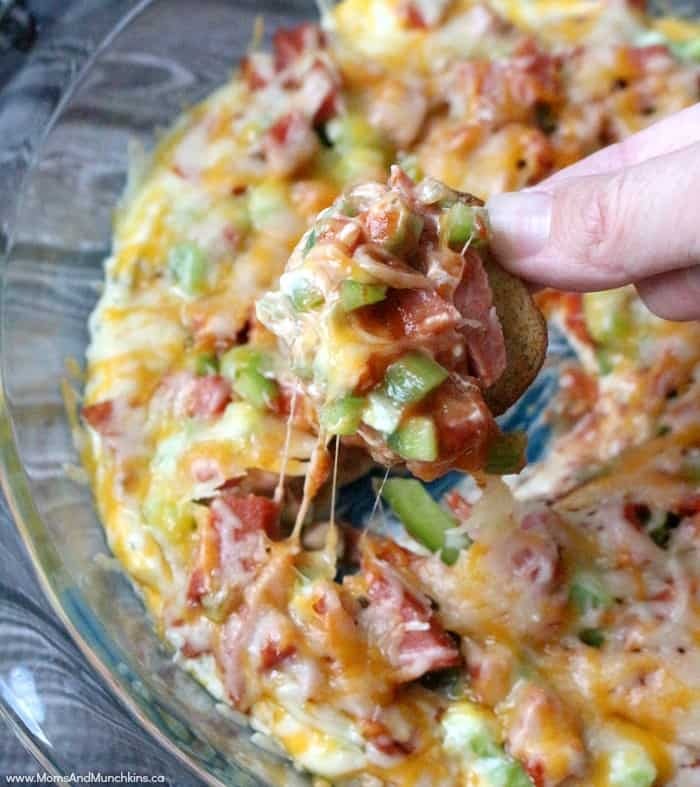 For an easy recipe that all ages will love, try this Layered Pizza Dip. It’s best served warm so you’ll want to serve it right after it’s finished baking. 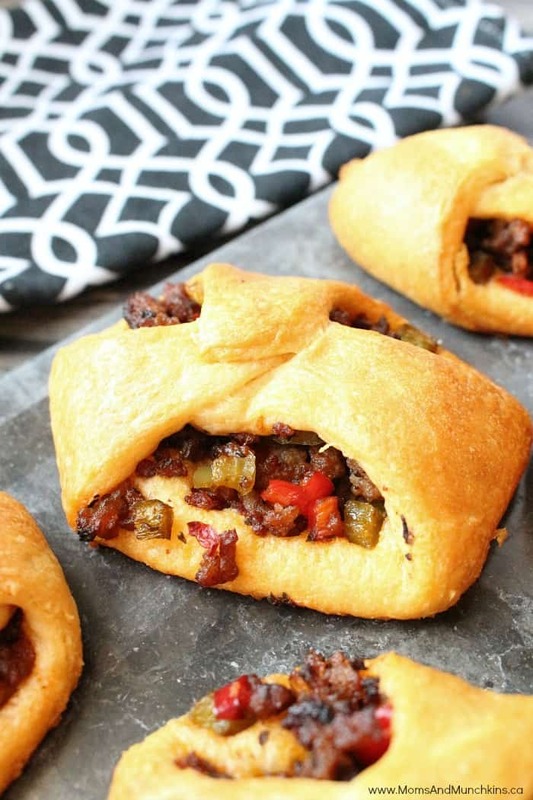 These Sausage & Pepper Turnovers are easier to make than you make think. Were you born to be a hostess or do you prefer being the guest at a party? Let us know in the comments below. Never miss a delicious update by following us on Facebook, Twitter, Pinterest and Instagram. Which got me also excited Cheddar Stuffed Mushroom and now I need to try the Chorizo with Sundried Tomato as well. Thank you M&M for making me starving first thing in the morning! Have a delicious day. New fan!